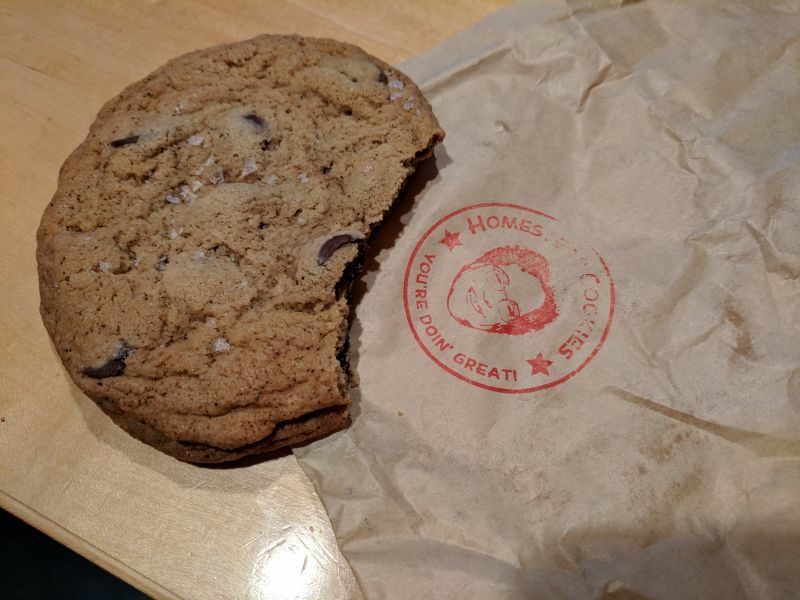 I’ve just been enjoying some fantastic Homestead Cookies. These are large cookies about 4 inches across. They are chocolate chip sprinkled with “finishing” salt. Very tasty.